Playgrounds aren’t just for kids — they’re for parents, too! By getting creative and using a variety of equipment at the playground, the possibilities are endless for a fun playground workout. School’s officially out for summer! The end of school means lots of time outdoors at the pool, in the woods, and at the playground. As much as I enjoy my free time during the school year, I do really enjoy spending time with my kids outside during the summer. But as my kids are getting bigger and more independent, they need me less as a supervisor and more as a chauffeur. What’s a fit mom to do while her kids play on the playground and virtually ignore her? Well, there are always the options to read, chat on the phone, or catch up with social media. But those can get boring pretty quickly, especially if you’re a busy body like me and need to move. The next best option is to do a little playground workout. You’d be surprised at how versatile the playground can be for a solid workout. The trick is to keep it short and sweet in case the minions need you. Check out this simple — and fun! — playground workout to keep you fit and entertained this summer! I’m all about the triceps lately. For me, it’s a very underutilized muscle group. I need to actively engage my triceps to make sure they’re firing. Tricep dips are simple to do at a playground. All you need is a picnic bench, a swing, a stair — basically anything to hold on to as you lower yourself down into the dip. I would aim for 3-4 sets of 10-20 dips per set for maximum benefit. Steps ups are a crazy simple move that will work your glutes, hammies, and quads. Step ups can be done on a stair, a park bench, or even a short landscaping wall. Do 3-4 sets of 10-20 repetitions of these and your glutes will be firing in no time! Not everyone can successfully execute a pull up (present company included!) so this might not be for you. But if it is, you can easily incorporate pull ups into a playground workout. Hello, monkey bars! They’re practically begging to be used for pull ups! If you’re in for unassisted pull ups, try doing 2-3 sets of 5-10 pull ups per set. And you can try to find a suitable spot for assisted pull ups if that’s more your thing! The playground offers the perfect place to perfect your box jump technique. There’s a variety of heights to choose from be it the bottom step of a climbing gym, a picnic table seat, a park bench, or the picnic table itself. If you’ve never done a box jump before, start with the lowest possible platform or skip this exercise all together. Otherwise, complete 3-4 sets of 10-20 reps of box jumps. And finally, the most fun playground exercise of all — hopscotch! By using the squares laid out in hopscotch, you can treat the game as an agility ladder. Jump two feet together, single leg alternating, and single leg steady for all sorts of fun variations of hopscotch. Plus this is a fun way of getting your kids involved, too! Playgrounds aren’t just for kids — they’re for parents, too! By getting creative and using a variety of equipment at the playground, you can really get your sweat on. Plus, you’ll be setting a great example for the kids. The possibilities are endless for a fun playground workout. Hopefully this gives you an idea of where to start — you can add on from here! 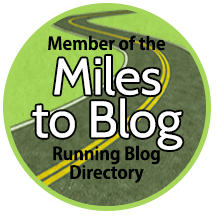 Don’t forget to enter to win a FREE MONTH of run coaching. You don’t have to be local to win! Check out this post to enter to win! Do you work out at the playground? Can you do unassisted pull ups? The playground is such a great place for a fun workout and these are great simple exercises. School isn’t out here for another 2 weeks so my little sister is still in school. We had so many snow days that it is making for a long June. This looks like fun! I bet the kids will play along – then everyone wins! There are pullup bars at one of the parks I run at. I’ve been known to try and use them — although I haven’t in a really long time. No, I don’t think I could do an unassisted pullup. I do think about putting a pullup bar in our house somewhere . . . Mr. Judy isn’t fond of putting holes in the walls/ceiling. Party pooper! Outdoor workouts are super fun! I love showing my clients how to do workouts on picnic tables and at parks and playgrounds so they can stay fit while watching/playing with their kids. My kids used to love hopscotch! And yes. Yes I CAN do 3 unassisted pullups! I don’t have kids so I don’t really go to playgrounds BUT there is one a stop at on my run to stretch because it is shady. 🙂 I can do unassisted pull ups but it took me several years of strength training to work up to it. There is a playground at one of my trails and I certainly use that picnic table to my advantage…haha. I use some of the other equipment there too (like the bars). I should use them more often though. I actually train a lot of clients in parks and playgrounds. It’s so fun and you can get a great workout! This is so appropriate for me right now. My kids are so independent on the playground these days so I do end up on social media. But incorporating a workout would actually be a lot more fun. For the park I have in mind, all these would work, including the monkey bars (eeekkk!) but given I am doing an Obstacle Course soon those bars are exactly what I need right now! I’ve always liked the idea of a playground workout while the kids are playing. There are so many ways to work out there. I’ve never done one but my husband has done some before and loves it. He says it makes him feel like a kid again. I’ve been known to stop and do some playground workouts–the monkey bars are my particular favorite! With only a week left of school til summer break, this post could not have been written at a more perfect time. I can’t wait for a summer at home with my little man, and can definitely incorporate some of these exercises while we’re at the playground. Thanks! Playgrounds and parks are great places to get in a workout! Fun ideas here. I love these outdoor playground workouts. Other parents usually looks at me really strange when I start exercising on a bench in the middle of playground. But I don’t really care. While other just sits there I love to be to be in moving. My kiddo always laughs at me but I think it’s fun for him too. MCM 50K, Here I Come!